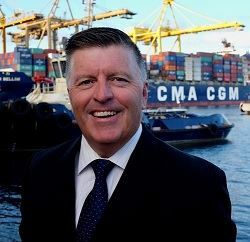 The SCLAA is proud to announce that Mike Gallacher, CEO Ports Australia, will MC the 58th Australian Supply Chain & Logistics Awards (ASCL Awards) Gala Dinner to be held in the Ballroom, Luna Park, Sydney on Friday, 23 November. Following an intensive and varied 16 year career as a Police Officer, Mike Gallacher was appointed to the NSW Legislative Council in 1996. He has performed the Shadow Ministerial role across a variety of portfolios including Ports, Industrial Relations, Transport and Police. Winning government in 2011, Mike was appointed Minister for Police and Emergency Services, Minister for the Hunter and later the further role of Minister for Industrial Relations. Mike is widely recognised for his robust approach to policy development and his preparedness to strongly advocate the need for reform. As Minister he led on behalf of Government the public debate on issues such as measures to reduce alcohol related violence, rampant gang/gun related crime and introduced initiatives to change driver behaviour. Leaving Parliament in 2017 he has now taken the role as CEO of Ports Australia, the peak industry body for the Ports industry. Mike is already well underway in lifting the awareness of the Port sector and the important role it plays in Australia’s future.